Are you thinking about losing weight and moving around with a pleasing personality? If that’s the case, then you should always be particular with what you eat. So, as you scroll ahead, you can check out what a crash diet is all about. 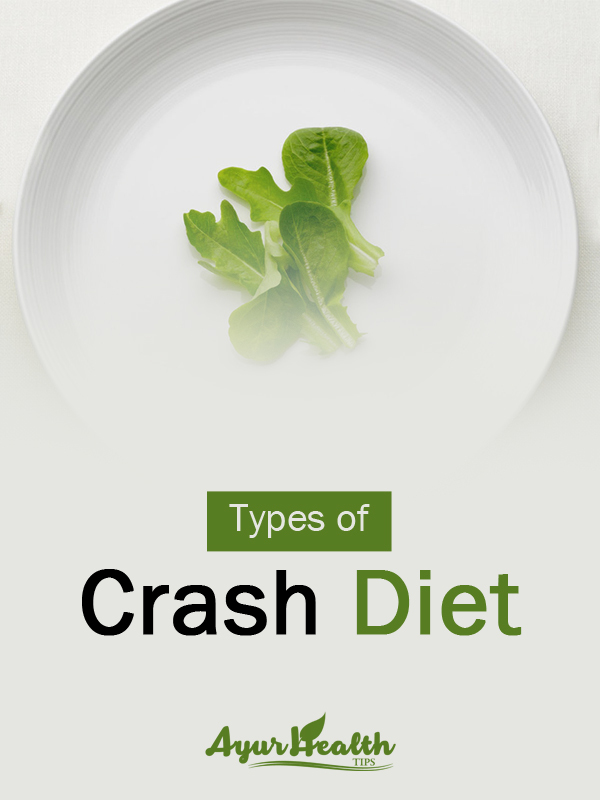 1 What Is Crash Diet? 2 What Is The Best Diet To Lose Weight Fast? 3.8.6 Was this article helpful? If you haven’t heard about crash diet anytime before, then it’s nothing but a diet plan that helps you lose weight faster and of course in a few days. 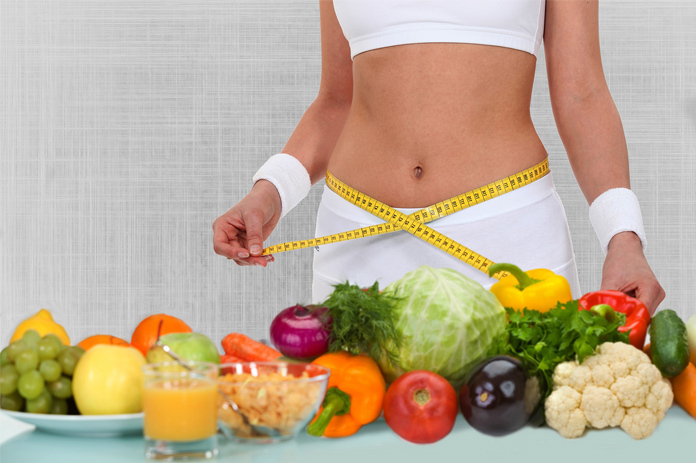 The main motive of following such a diet is to reduce the calorie intake and achieve the desired results. Normally, you would observe many individuals following this diet. They might change their preferences when they are health conscious and when they want to look healthy on those special occasions. If you really can’t wait for letting fat disappear around the stomach, then you have to be careful and eat healthy foodstuffs. For breakfast, dieticians recommend to eat 1 slice of toast, 1 cup of black coffee and omelet made from eggs. In case coffee is not available in the market, then herbal tea could be the best alternative. But, before thinking about bread, make sure that the loaves are made from processed whole grains. Moreover, you can also enjoy juicy fruits which are loaded with essential nutrients. When it’s time enjoy your meals, you can think about eating plenty of vegetables. While these would furnish the body with nutrients, they would also provide dietary fiber with hardly any calories. Regardless of the time for lunch, you should always at least half of your plate with non-starchy vegetables like broccoli, peppers, asparagus, cucumbers, spinach, kale, and more. But, if you don’t like eating raw vegetables, then you can think about starch-rich food items like sweet potatoes. Doctors would recommend you to eat them in moderate quantity because they provide ample fiber, nutrients and healthy carbohydrates. Reducing the intake of salt is yet another change you can think with your diet. But, that doesn’t mean that the food must be bland. Instead of salt, you can top up the dishes with different kinds of herbs and spices. For instance, if you love eating grilled fish then you must add fresh cilantro. In case chicken recipes are among your all time favorites, then you can add rosemary or lemon juice. As you follow everything, you shouldn’t forget to drink plenty of water before meals. This would help to improve digestion and keep the person away from a bloated stomach. Way ahead, you should avoid drinking soda, juice or sweet coffee / tea. Apart from little nutritional value, such items are known to have more calories. Now, let’s have a look at some crash diet plans. In this diet, you should only consume vegetables and fruit juices throughout the day. This would then help you lose weight effectively rather than letting you rely on weight loss drugs. If you have diabetes, then you can drink juices of naturally sweet fruits such as watermelon and papaya. Developed way back in the 1940s, the master cleanse juice diet can help you lose up to 20 pounds in a couple of days. So, as you plan to lead a healthy lifestyle, you can prepare the juice by blending one lemon juice and two to three teaspoons of maple syrup. For enhancing the taste, you can simply add a pinch of cayenne pepper. Such a kind of diet comprises of a fruit salad and chicken with cottage cheese. But, even though the meat is rich in proteins and has low calories, you need to be sure about eating the right proportion. Once you change the eating habit, you are bound to shed some more weight. The cabbage soup diet is the most popular diet plan especially when someone wants to lose weight. You would certainly observe the difference because this diet aids you to lose 10 pounds within a week. Apart from the main objective, the soup cleanses the body and removes the unwanted toxins. Among several diets, the clean diet has always been popular through the years. While breakfast and dinner is light and comprises of liquid foods as well as supplements, lunch can just be a platter of vegetables. Besides being the best solution for illnesses, the clean program can actually help in detoxifying the body. Now, let’s have a look at a diet spread across a couple of weeks or a few days. When you need to consider a diet for 3 days, then you can aim at losing 10 pounds in just 3 days. As you consume foodstuffs, you should never skip the right time. For breakfast, you can have black coffee or tea. Later, you can have 1 piece of toasts, 1 tablespoon of pea butter, and drink grapefruit juice. When you are having an enjoyable time during lunch, then it’s better to eat half a cup of tuna, 1 slice of toast, and black tea or coffee. At the end of the day, you can savor three ounces of meat, 1 cup of green beans, apple and carrots for dinner. Before going to bed, it’s also safe to have 1 cup of vanilla ice cream. When it’s breakfast time, you could have black coffee or tea as soon as you have woken up. After some time, you can eat one egg, half a banana, and 1 toast. For lunch, you can consume 1 cup of cottage cheese / tuna, and fill your stomach with 8 regular size saltine crackers. In the night, when it’s time to have your dinner, you can have two beef franks, 1 cup of broccoli, half a cup of carrots, half a banana, and half a cup of vanilla ice cream. For breakfast, you can relish a cup of black tea or coffee, five saltine crackers, one apple, and one ounce of cheddar cheese. While you can eat one boiled egg and a toast for lunch, you can finish your dinner with 1 cup of tuna, 1 cup of carrots, 1 cup of melon, 1 cup of cauliflower and half a cup of regular vanilla ice cream. When it comes to following a 2 week crash diet, you can bring in the change with two scrambled eggs, a slice of toast, a bowl of cooked oatmeal, and skimmed milk for breakfast. A healthy lunch can be thought of when eat whole wheat pita seasoned with marinara sauce. Besides, you can also have salad along with low-fat mozzarella cheese and an apple. At dinner, you can savor skinless chicken breast, and green salad as well as chunks of sweet potatoes. Hundred percent whole wheat pasta along with chopped tomatoes can also be a healthy option. As you start off with the diet plan, you should always remember to drink water, and black tea. But, in case you’re tempted to drink alcohol, then you should say ‘no’. For breakfast, you should only eat omelet topped with salt and pepper. You could also have a naturally sweet drink for boosting the energy level. When it’s lunch time, you should always have salad and steak. Rather than nothing, you should prefer eating fried steak. For supper, you can always have fried vegetables mixed in 50 grams of brown rice. Do use olive oil whenever you are frying the vegetables. For breakfast, you actually don’t have to eat anything. You can simply fill your stomach with yogurt that helps for digestion. When it’s time to take your lunch, you can have green salad, boiled eggs, and meat topped with cucumbers, spring onions, and lettuce. At dinner, you should have lamb chops and roasted vegetables. When you are having your breakfast, you should eat eggs cooked in olive oil. For lunch, you need to have a salad after mixing a can of tuna. To complement the dish, you could add boiled eggs and anchovies. In the end, you can finish off your dinner with stuffed peppers ( a dish with chopped vegetables in 50 grams of rice). While you can eat steamed rice for breakfast, lunch can just include brown rice salad with cucumber, celery and crushed garlic cloves. At night, you can have grilled chicken breast with some salad and lemon juice. For breakfast, you should enjoy eating porridge mixed with oats. As you make the dish, you should pour away the boiling water and check for its consistency. When it’s time to have your lunch, you can always enjoy pork and vegetable kebabs. Towards the end of the day, you can savor tuna steak or smoked fish. Finally, it’s always a good idea to contact the doctor before choosing a diet plan. Think from every angle as to how the diet would help you stay fit and healthy.